Clack, Beverley 1999. 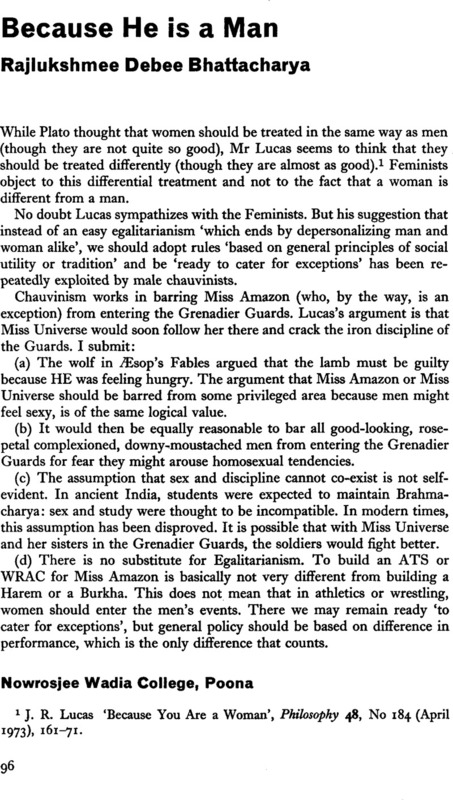 Misogyny in the Western Philosophical Tradition. p. 227. 1 Lucas, J. R. ‘Because You Are a Woman’, Philosophy 48, No 184 (04 1973), 161–71.